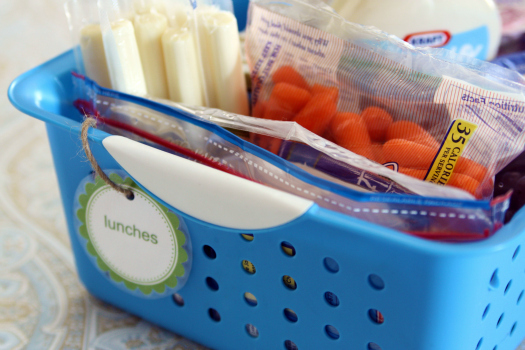 I’m excited to share these easy Back to School Organization Ideas. I’m not always an organized person. Sometimes when you open up my closet, everything falls right out of it! However, when it comes to back to school, I am a perfectionist! 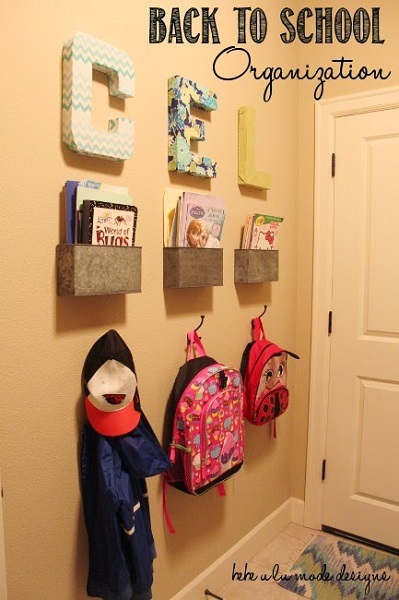 I’m always looking for ways to organize our home to make it most efficient during the school year. It’s back to school time which means it’s time to get back to school schedules and after school activities! 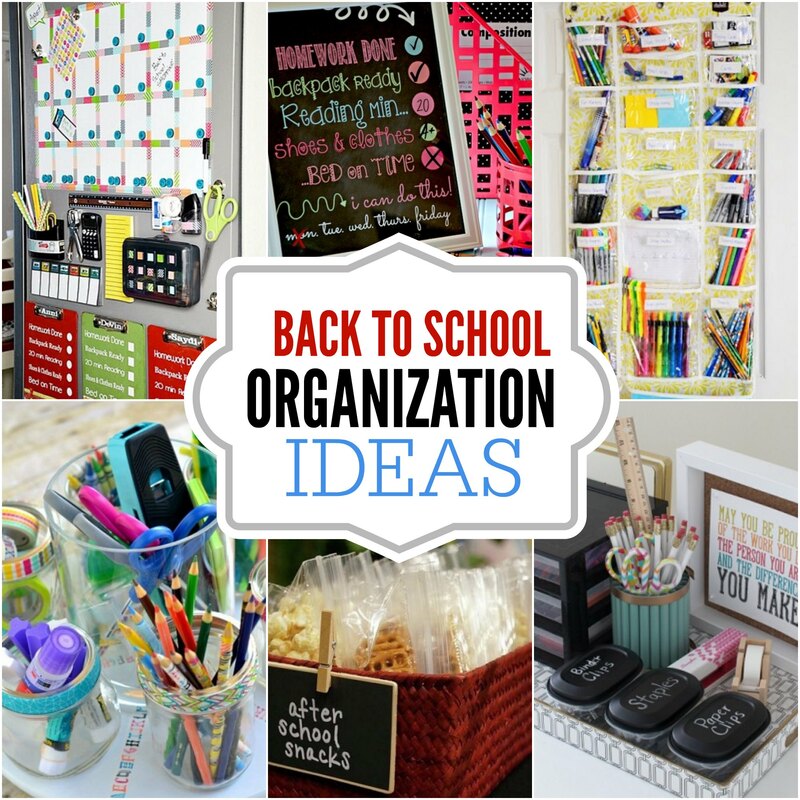 Don’t miss these back to school organization ideas to get your life together! 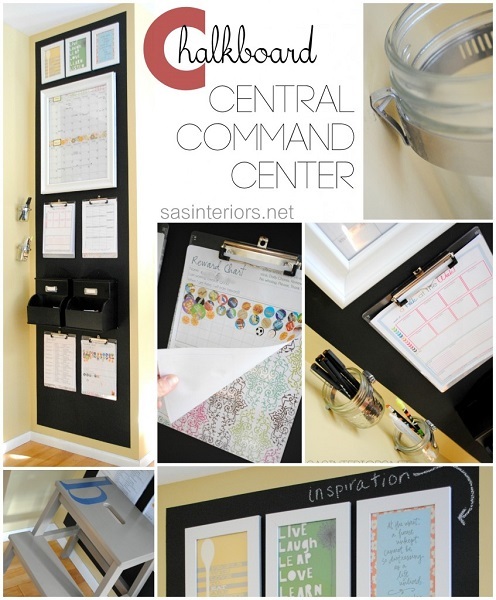 Keep your whole family organized with this family command center! 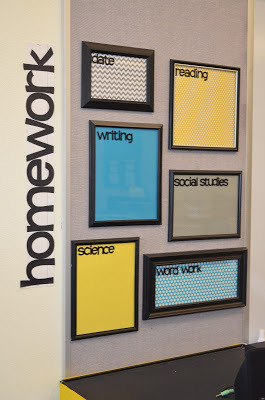 Tackle all of that mail and those school papers that come into our home everyday and end up filling our countertops. 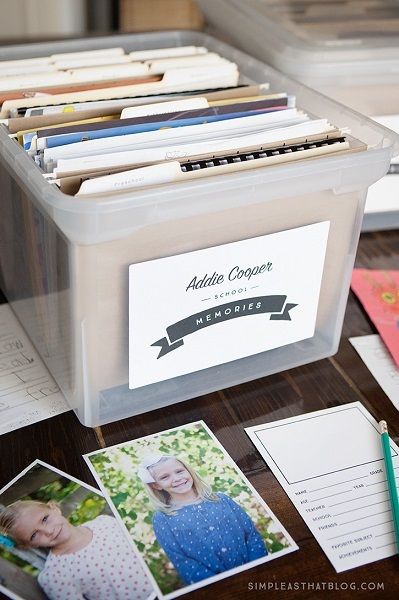 With all the kids going back to school, we need a quick and easy way to get organized. Short on space? 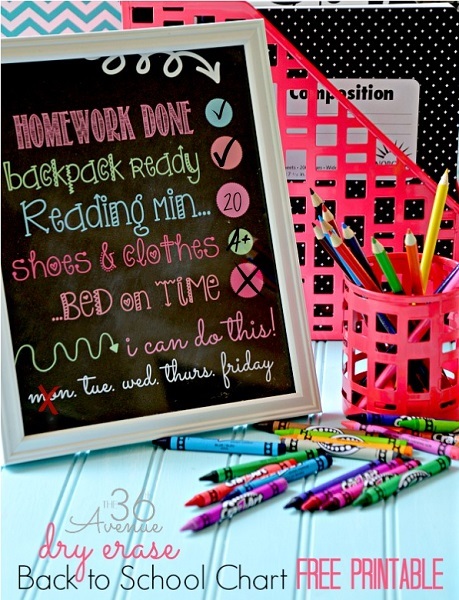 Don’t miss this mini homework station. This Homework Station Turntable keeps all homework supplies at your fingertips! Don’t let chores fall by the wayside! 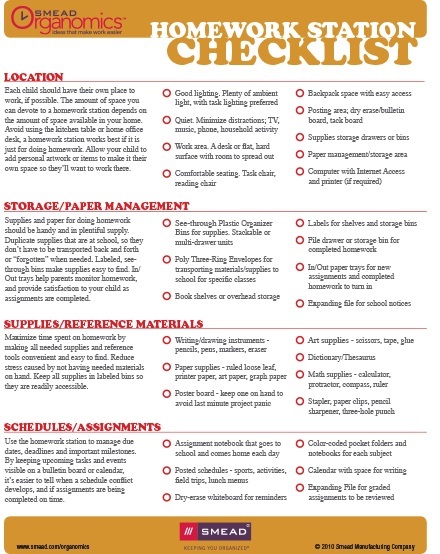 Keep your kids on top of it with this chore chart. 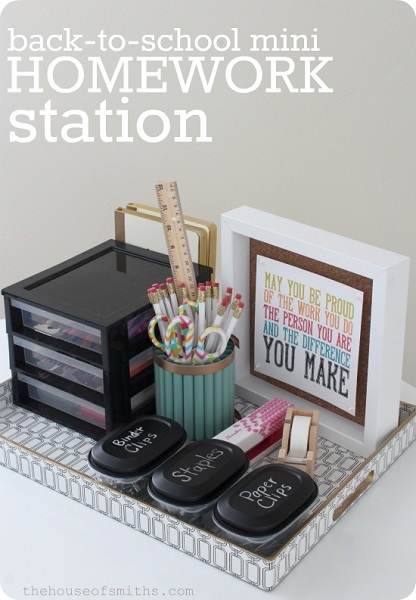 Here is an easy DIY Homework Station you can create for a fun, focused, and quiet little spot you can create for your homework time. 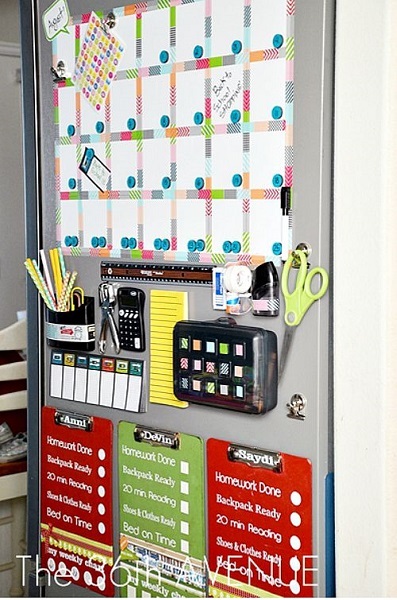 This organizer is perfect for school supply organization! You’ll never lose any supplies again. 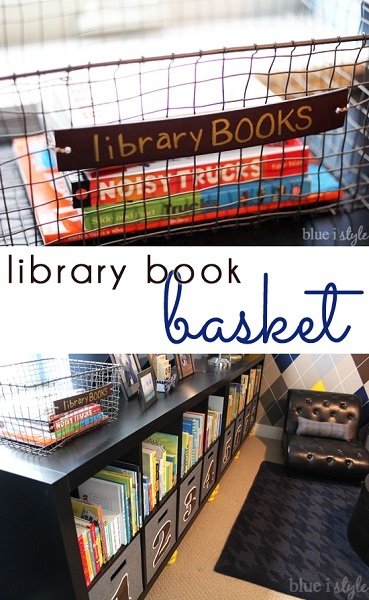 Don’t let your library books go late again! 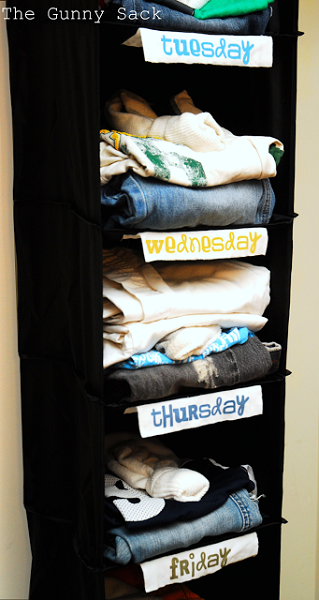 Having outfits ready to go will keep the morning running smoothly and help you to get out the door on time. Don’t rush through lunches anymore. 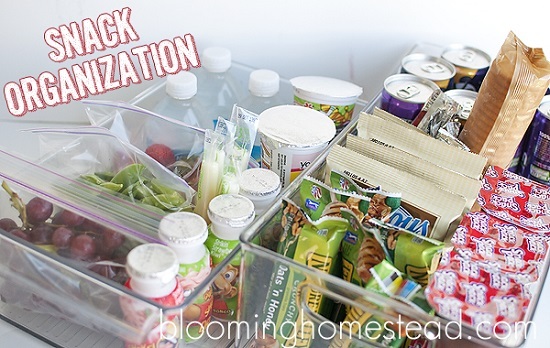 With this easy organizer, you’ll be packing lunches in just a few minutes. They’re easy to grab on-the-go if you need to head out to lessons, and they’re a good way to control portion sizes for snacks. 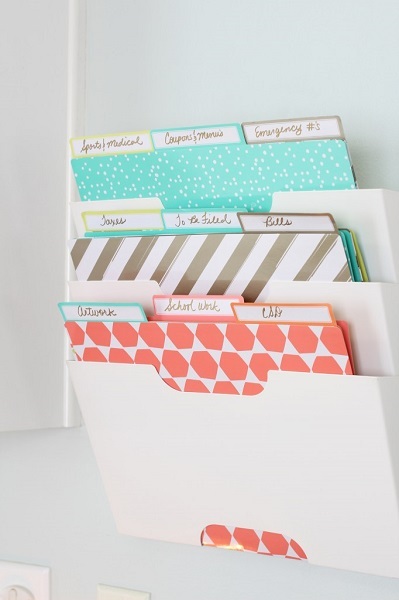 Tame your child’s school paper clutter with this simple filing system. 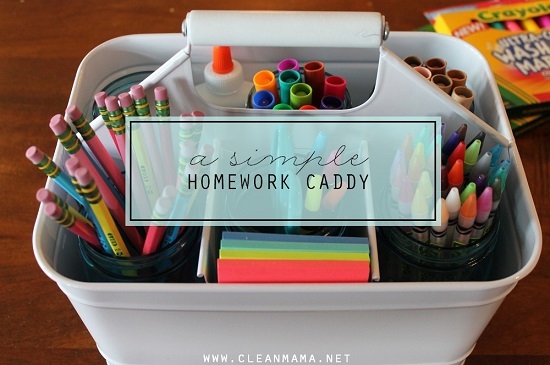 If you’re looking to add a little organization in your school and homework days, put together a little homework caddy. 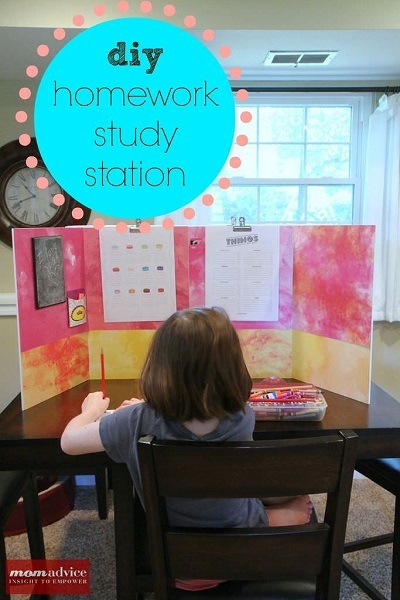 A quiet, undisturbed, and dedicated location for studying will help kids focus on homework. 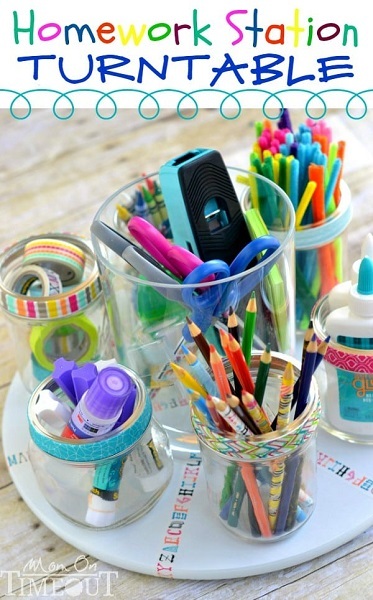 Help your kids stay on top of their schoolwork with this back to school station. 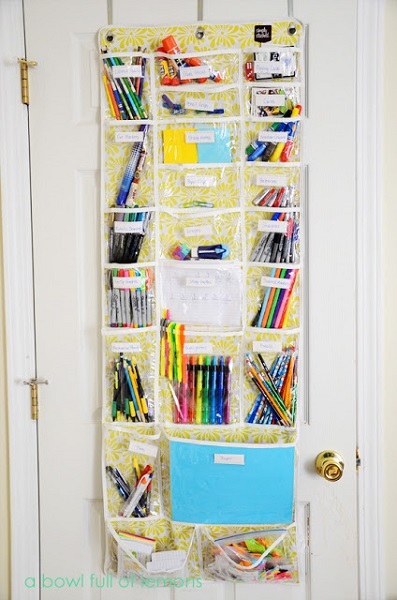 Never let any school subjects fall through the cracks with these DIY whiteboards. 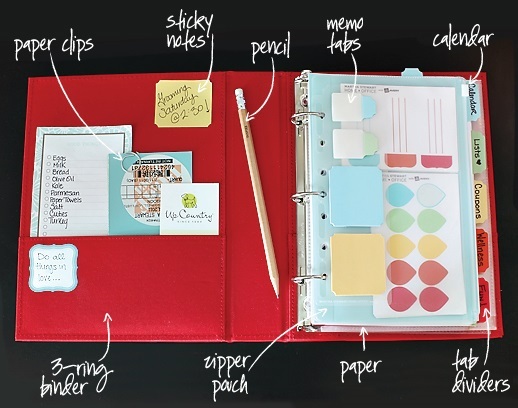 Make a personal planner notebook to keep yourself and your kids on top of things. 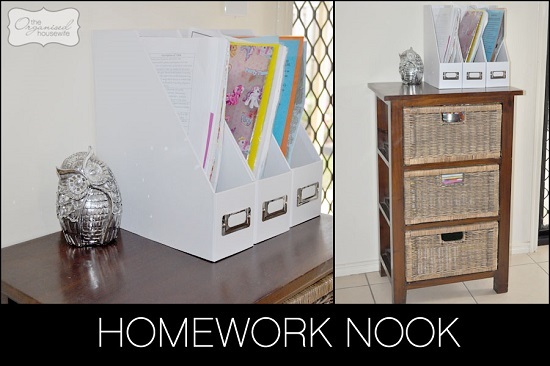 It’s a storage unit that sits in our dining area and keeps all the school paperwork, and homework books tidy! 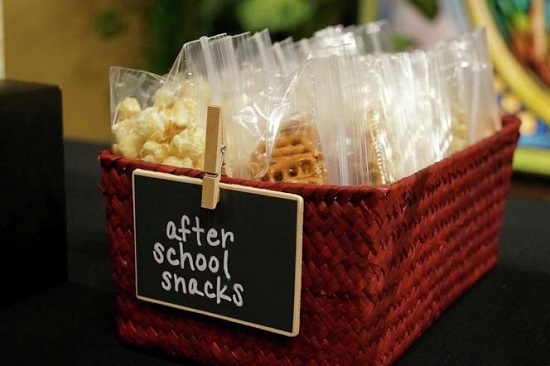 With all those other things that come along with school that keep us busy we find it helpful to keep our snacks ready and organized to grab on-the-go. Homework? Check. Follow directions? Check. Get chores done? Double check. 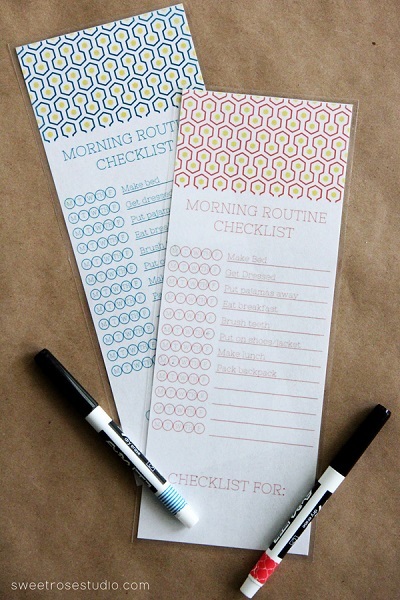 These Morning Routine Flashcards are fun free printable cards to help kids get ready for school in the morning. 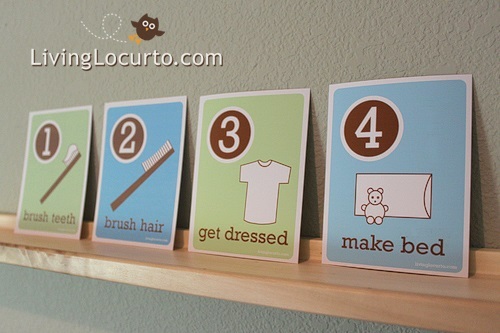 Simple visuals to help kids be more responsible at home. 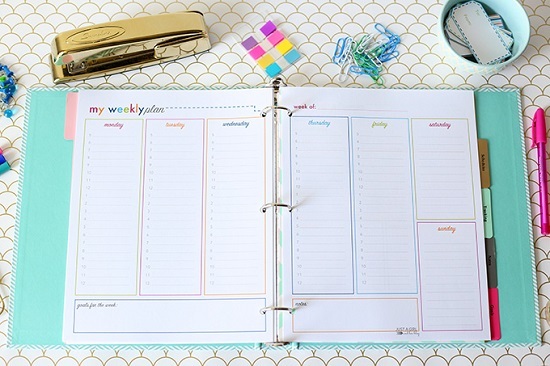 Here’s a great printable student binder to help keep your kids organized from class to class. If your teacher doesn’t provide one, you want to make sure you have one! 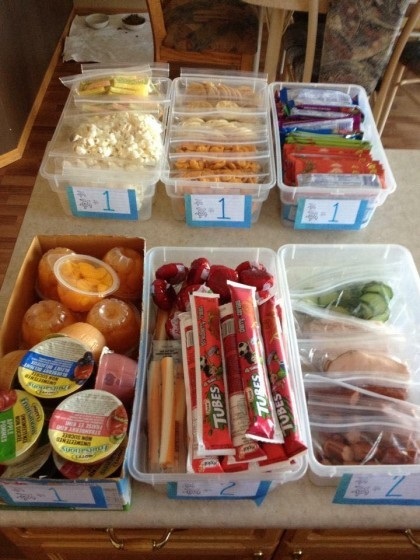 This lunch organization process will make lunch making an easy breezy process! 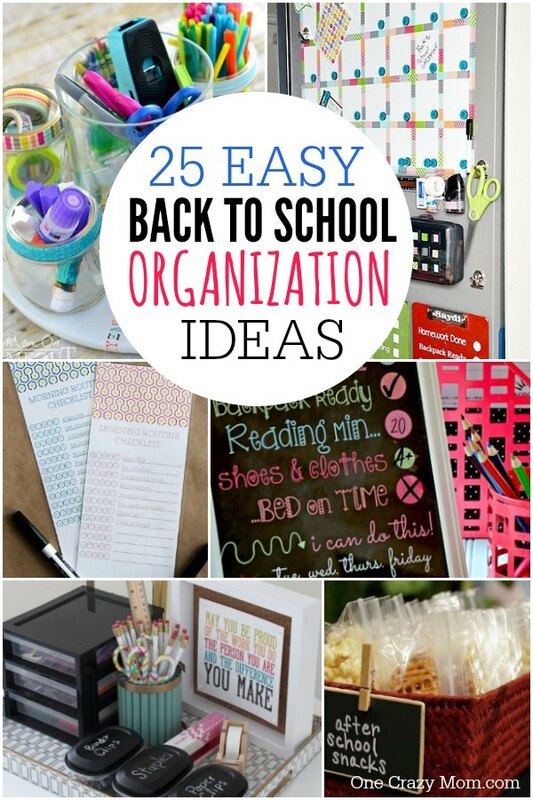 There are a ton of easy Back to School Organization Ideas to try this year to help you stay focused and organized during the crazy busy season.